Shaun.e.b is a truly versatile singer with the ability to perform music from the roots of reggae up to modern day pop spanning from the early 60's to the present day. 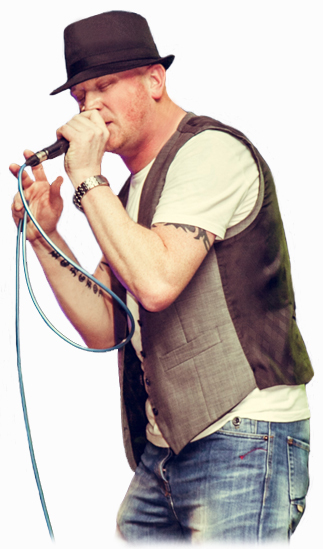 Shaun.e.b has a number of different shows available such as: The UB40 tribute show, The reggae legends show and a mixed show covering all genres of music from the 1960's to the present day. A DJ package is also available with each show. each show has it's own dedicated pages where you can access biographys, sound clips, testimonials, set lists and videos. contacts in the entertainment industry. All of Shaun.e.b's shows are available to book for any event or venue and Shaun.e.b will travel anywhere in the UK or abroad to make an appearance. Shaun.e.b uses a massive range of top quality powered audio equipment in his shows which means that it can be adapted to suit the size of your venue, whether it's a small pub to a large club or even a marquee. If you have any questions about any of the shows featured on this website ar would just like a quote please do not hesitate to contact Shaun.e.b.